The Theremin, for those who don’t know, is a unique electronic musical instrument invented by Léon Theremin way back in 1919. Its uniqueness comes from the fact that the musician doesn’t actually touch the instrument while playing it, but waves his or her hands around two antennas to produce the sounds. It found favour with composers like Bernard Hermann in the 1950’s for its ability to bring a very alien feel to sci-fi movie scores like the one he composed for The Day the Earth Stood Still, and has since been associated with all things freaky and alien in nature. Today, you can purchase ‘build your own’ Theremin kits and even download virtual Theremins to play on your computer, both of which Wisconsin’s Richard Wixner has done. Using a homemade PAIA Theremax with a modified oscillator coupling, and adding several virtual Theremins along with synths, effects and other software, Wixner, under the name Alien Tech, explores a strange world of weird and haunting electronic music. Blending the swooping tones of the Theremins with sequences, atmospheres and strange effects, he creates sonic landscapes that you could just imagine Robbie the Robot or Klaatu and Gort walking through while blinking flying saucers hover overhead and silver cities rise in the distance. The music is undeniably electronic, but varying in tone from mellow and soothing, to dark and foreboding, to just simply strange and out there. Occasionally the music borders on a new age kind of feel, as with the gentle sequences floating in the background of the opening cut, Thereminoid, but the weird sliding tones of the Theremin always add a freaky, dissonant feel to it, keeping it well within alien realms. Wixner goes out on a limb too with the opposite extreme and sometimes adds distortion, as on the short track Howls Alive, turning the Theremin into some kind of cosmic rock n’ roll doomsday machine. But most of the tracks explore a strangely spooky, ethereal retro-futuristic dimension of sound and space that is both relaxing and exhilarating at the same time. The Theremin is an instrument that has always fascinated me, so this album is a welcome addition to my collection. 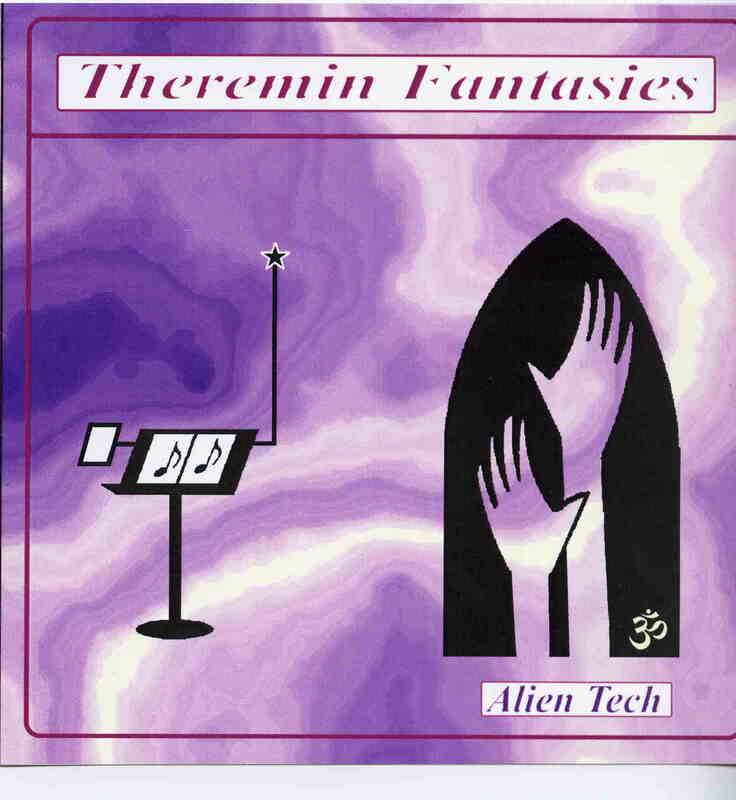 For enthusiasts of this unique instrument’s sound, or those who are just curious, you can’t do much better than Alien Tech’s Theremin Fantasies for an exploration of the Theremin’s possibilities.